Cajun spiced chicken, hot, fluffy, homemade biscuits, flavorful fixins' as well as the best iced tea around! Plus, we will do it fast and with a smile! 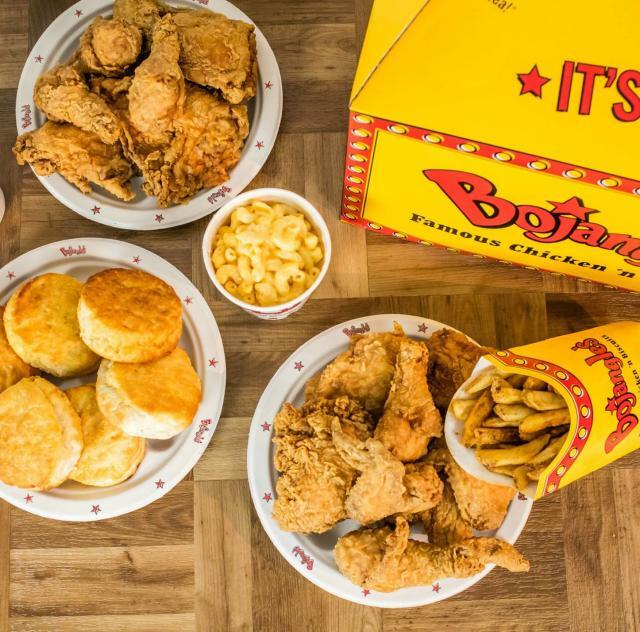 Make anytime Bo Time with one our breakfast biscuits specials or enjoy a free iced tea with any chicken dinner. All locations open at 5:30 a.m!